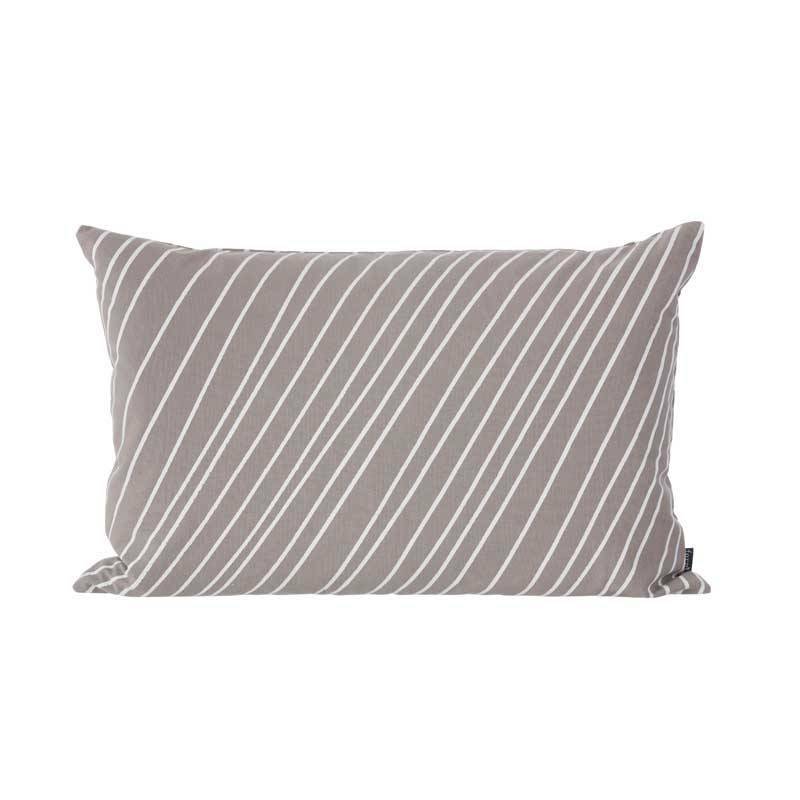 Striped is a quality cushion from Ferm Living in a nice shade of warm grey. Made of organic cotton canvas, handprinted, size 40x60. 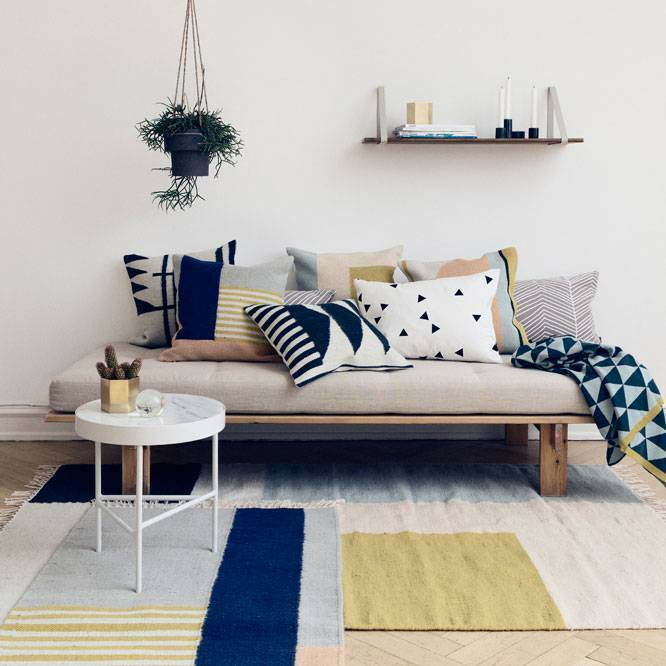 The Striped cushion is a beautiful cushion from Ferm Living. Like the other cushions from Ferm Living, this is again made from a high quality fabric, in this case organic cotton canvas, a more solid fabric. The cushion comes complete with an inner cushion (feathers with down). 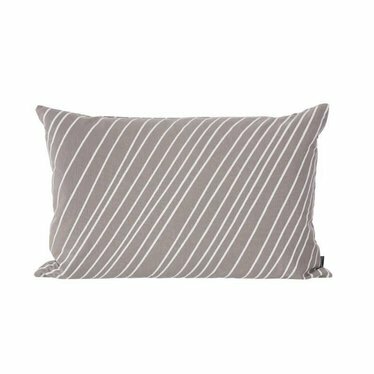 The Striped pillow is hand printed, so that small variations in the print can occur.